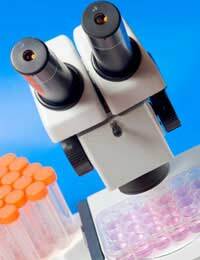 Although animals are considered necessary for some forms of experimentation, the United Kingdom (UK) regulations require that whenever possible, alternatives be used to ensure successful research. These alternatives also serve to ensure that where animals must be used, their well-being and care are maximised while their suffering is minimised to the fullest extent possible. The three R's of animal testing include reduction, replacement and refinement. These alternatives are mandatory to the area of animal testing and must be respected at all times before and during the use of animal testing. Reduction methods are important in that they allow researchers performing animal testing to gain a similar or equivalent amount and level of information by using a smaller number of animals. Another use is that researchers can also obtain a larger amount of scientific information from the same number of animals by utilizing reduction techniques. This means that fewer animals are used in animal testing and the benefits of research are still obtained. Replacement methods are used whenever possible although they are not equivalent to the use of an entire organism. When they can be used, replacement techniques are preferable to animal testing. These methods involve using other forms of testing as opposed to animals. Replacement methods are used when the aims and goals of the experimentation can be reached without the use of animals. Replacement methods are important because they reduce the overall number of animals used in testing and are also particularly preferable to those who are against animal testing. Refinement methods are still controversial given that they involve minimising animal suffering but do not actually reduce the number of animals used. Those who are against animal testing often believe that animals should never be used and that minimal suffering is still too much suffering. For those who do conduct animal testing and for those who support it, refinement techniques are vital for promoting the well-being of animals and safeguarding their welfare while still satisfying the aims of scientific knowledge and research. Refinement techniques are geared at either alleviating animal suffering and psychological distress or reducing the chances of such distress occurring during experimentation. For the latter, this means using pain relievers and anaesthetics where significant pain is likely to occur. For the former, the options are numerous but include the investigation of methods that provide accurate experiment results while minimising the chances that an animal will suffer from any pain or discomfort. Animal testing is important to the many individuals who support its use for advancing medicine and protecting humans from product harm. These same supporters also firmly believe in the use of the key animal testing alternatives, which help to ensure testing is done as humanely, safely and effectively as possible. It also encourages the development of other testing approaches. One day, an equivalent approach may exist to completely replace animal testing all together but currently, the three R's of animal testing are the best options available. Those who are against animal testing may still feel that refinement, reduction and replacement techniques are simply not acceptable and that all animal testing must be banned. Such individuals may cite these methods as 'not good enough' and that they are still doing little for animal welfare overall. For now, however, the use of these techniques is legal and encouraged for all researchers and others who utilize animal testing practices.